The seventeen UN Sustainable Development Goals (SDG’s) give us a way to think about how we might divide up the work to be done on the most pressing problems that humanity faces. But these goals aren’t a checklist of items that can be tackled one at a time. These challenges are interconnected, and they cannot be addressed separately. For example, we won’t have #1 No Poverty without also having #2 Zero Hunger, #4 Quality Education, #6 Clean Water and Sanitation, and #16 Peace Justice and Strong Institutions. This is a global “chicken-and-egg” situation. But the SDG’s have one special loophole. One goal can be put on top of all the rest. It is #5 – Gender Equality. If we would simply focus on equality for women, all the rest of the goals would become easier. In fact, it is impossible to achieve almost any of the 16 other goals if we do not first address women’s equality. The data is clear: in environments where women and men are in a balance of authority – that means decision making power – results are vastly improved. Companies with more balanced boards earn more profits. States with more balanced legislatures have better health outcomes. Countries with more balanced political leadership have less conflict. Villages that move from all-male led to balanced leadership see dramatic decreases in poverty. I am not calling for a world run by women. I am calling for a world run by women and men, with equal authority among them. 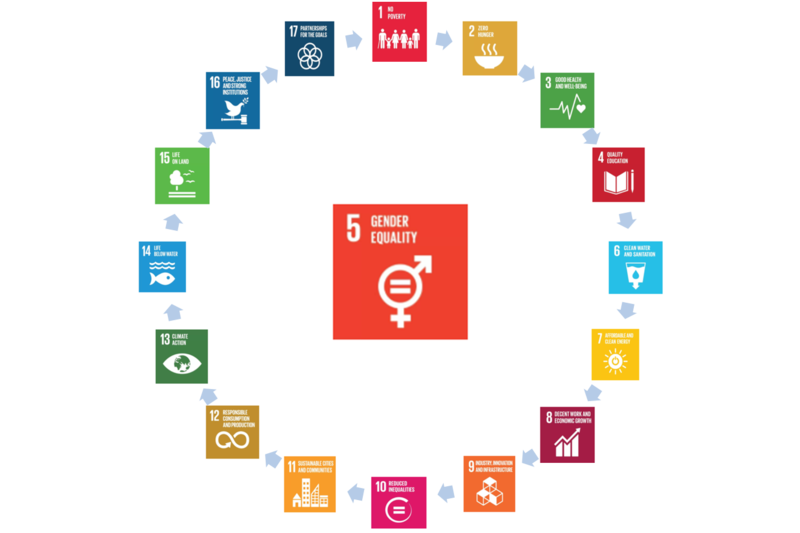 The Sustainable Development Goals should be organized as an interlocking circle, with one goal in the center: Gender Equality.